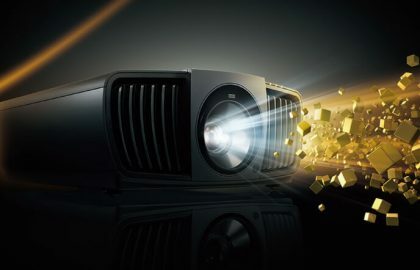 These days, the organisations, educational institutions even consumers are largely depending upon projectors for presentations, classrooms (best classroom projectors) , entertainment (best gaming projectors) etc. Thousands of devices are launched by different companies in line with above customer demands. One of the fast moving categories among the different projectors is portable projectors which suits your ‘on-the-go’ requirements. 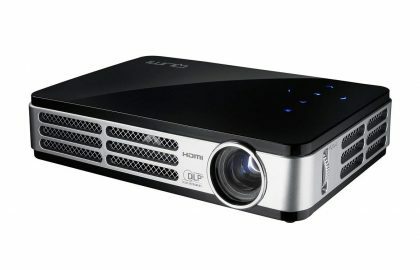 I will take you through the best portable projectors worth the money which is highly moving in the market. It will help you to make your choice without any hesitation because we cover all the features and price aspects in our testing. We will start with Optoma, the dedicated manufacturer of projectors. Optoma is a multinational audio and visual solution provider company which was started in 2002. 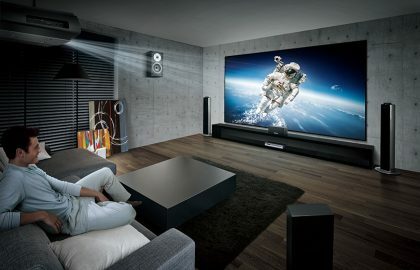 They were the first manufacturer of 65 inch DLP projection Television and got awarded Consumer electronics Show innovations. The world’s first DVD projector was launched by Optoma in 2005. We will quickly go through the best three Optoma portable projectors along with it features and specifications. The Optomma ML750 weights less than 0.4 kg which comes with a convenient carry bag which is easily transportable as you want. The brightness is immense and is built in Office Viewer. You can save your presentations in MS Office modes and adobe PDF files using a USB memory stick or through a micro SD card. It incorporates media player and in built speakers. 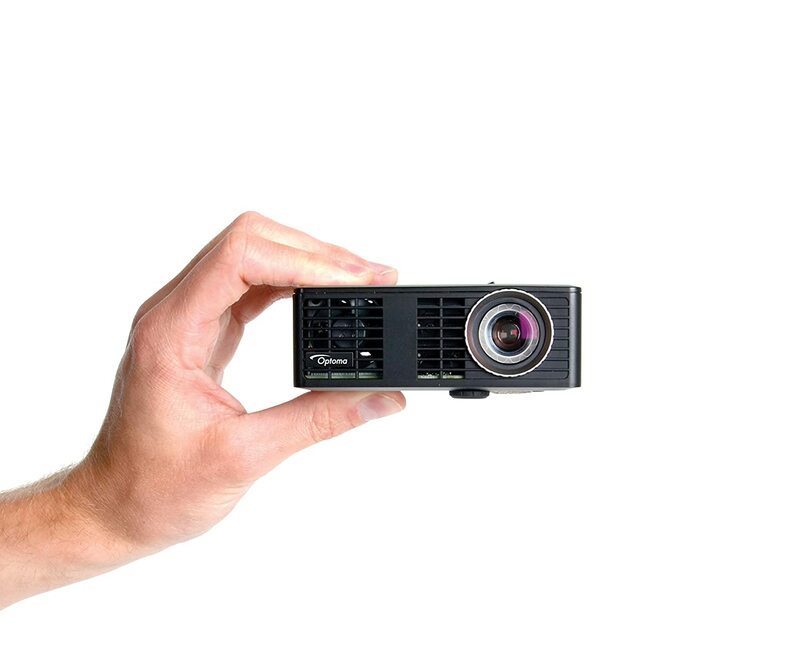 The brightness is 700 lumens( LED) and a contrast ratio of 10000:1 which makes it perfect for business presentations. The resolution is WXGA 1280*800 and it offers exceptional color fidelity using the Lamp – Free Technology. It has got 1 one watt speaker and a dimension of 4.1’*4.2’*1.5’(W*H*D). The aspect ratio is 6:10 native and 16:9/4:3 compatible as of Optoma W304M but the projection distance varies ie1.8 to 10.6 m and the projection screen size is 0.43 – 2.54m. The power supply is same as that of W304M ie 100 to 240V. While taking the connectivity part into account it can be easily connect to a laptop, PC, game console or DVD player with HDMI. The ML750 is also MHL compatible, this allows you to connect your MHL enabled mobile device with a single cable allowing you to mirror your devices screen. It uses inherent speed of 3D technology be used with compatible 3D content. Typical applications include 3D educational or 3D design and modeling systems. The standard accessories includes Carry bag, AC power cord, universal I/O cable, remote control, battery, quick start card. 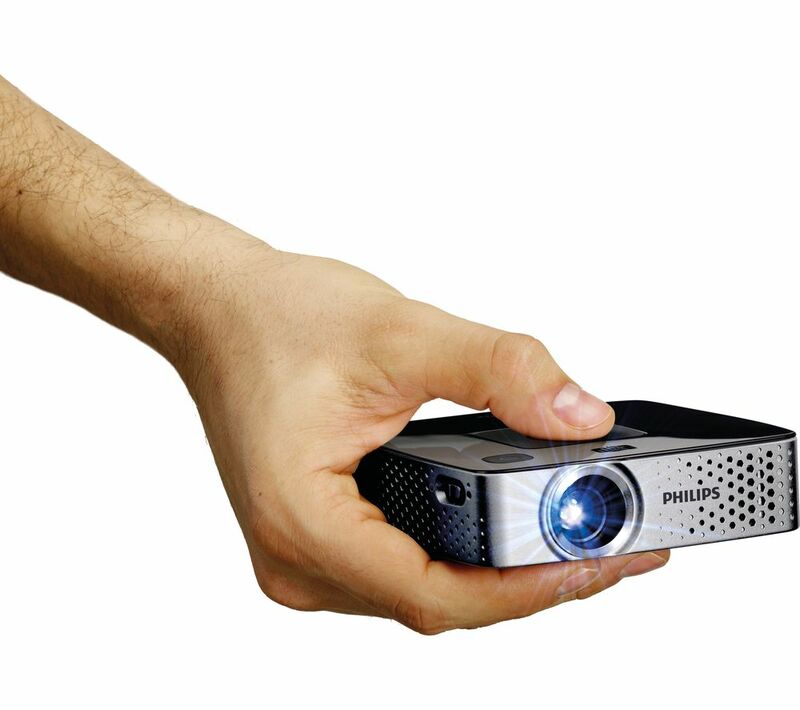 The inbuilt media player enables to play videos, photos, Microsoft Office & Adobe PDF files directly from the internal memory, a microSD card or USB stick and view them directly on the projector without the need to connect the projector to a laptop, PC or DVD player. Another important feature of ML750 is the wireless presentation capability from your phone of tablet using free app EZ view through optional BI-EXTBGN adapter. 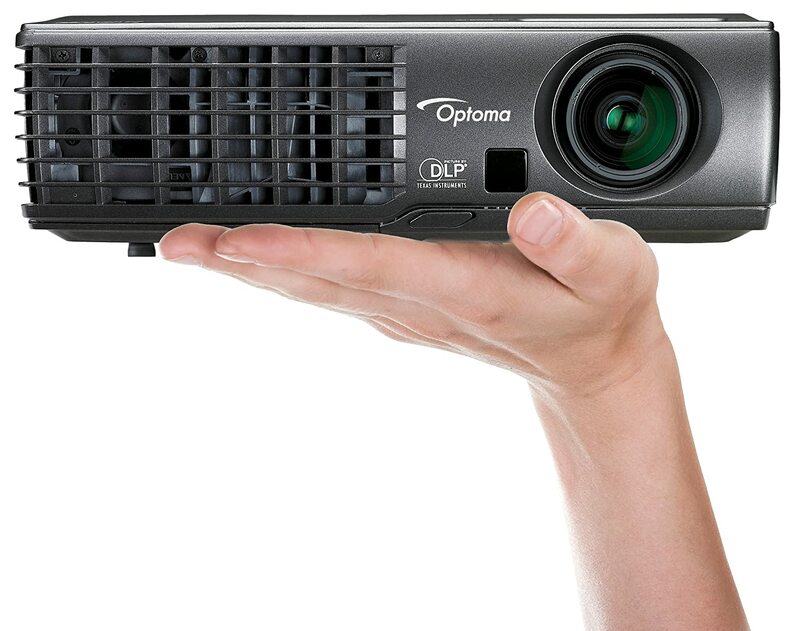 Manufactures offers 1 year warranty and the features makes Optoma ML750 extremely useful for professionals and teachers. My rating is 5 out of 5 and you will get the benefits for your money. Epson, is a Japanese electronics company and one of the world’s largest manufacturers of computer printers and imaging related equipment. Epson product range varies from inkjet, laser printers, scanners, desktop computers, projectors, laptops etc. 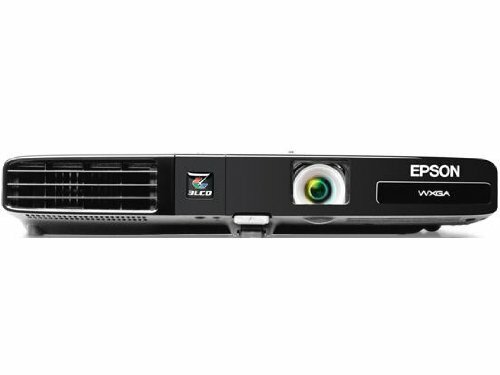 In the case of projectors Epson manufactures portable projectors, educational projectors, home theater Projectors etc. They are coming up with new technological products and delivering customer demands on a high end. In the category of portable projectors Epson Power Light 1761W is one of the fast moving product in the market. We will run through the excellent features that will satisfy your need. 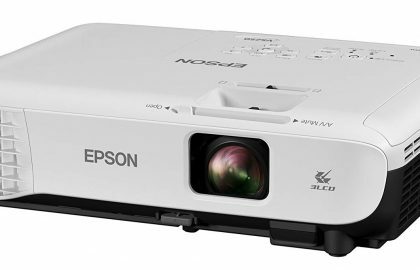 Epson PowerLite 1761W is easily portable with a light weight of 3.7 lbs. Its produces high quality brightness with 2600 lumens brightness. It has a native resolution of (1280*800) WXGA resolution and a contrast ratio of 2000:1 The aspect ratio is 16:10 which helps to deliver brilliant presentations. In the connectivity part it includes high speed LAN module for wireless connectivity. It is compatible with Epson iProjection app for iPad, iPhone and iPod touch. It has HDMI connectivity and USB port so that you can deliver the presentation without PC. USB Plug ‘n Play instant setup Connecting is simple, on a Mac or PC, with USB Plug ‘n Play instant setup. Take advantage of wireless 802.11 b/g/n LAN card capabilities and present wirelessly from your laptop, smartphone or tablet. The dimension of the projector is 210*292*44m. The lamp life is 4000 hours in eco and normal mode and the lens focus and zoom is manual. It has got a sliding lens shutter and an optical zoom of 1.0 to 1.2. Costlier than ML750, but with excellent features to make your presentations high quality, with no doubt this is one of the products that you can rely upon. 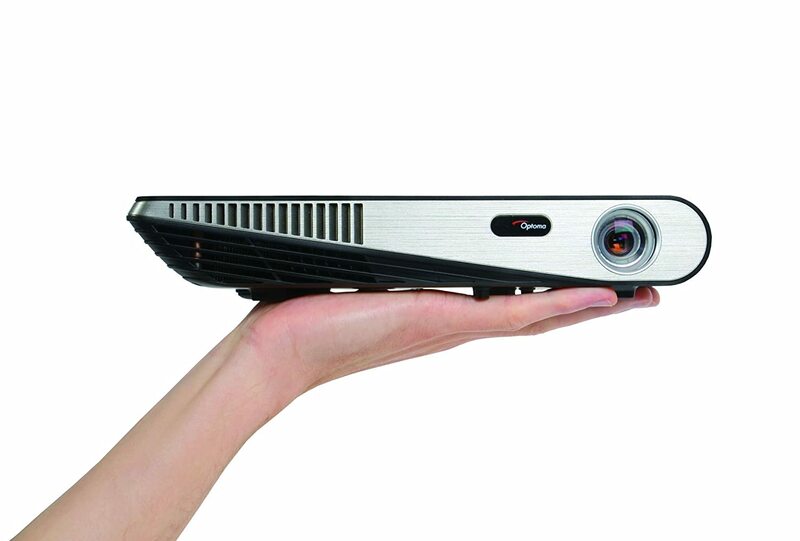 When you looking for a portable projector ideally you will enquire about the weight. Optoma W304M weights just 1.4kg which makes the portability pretty easier. It also comes with a convenient carry bag for easy transportation. It can be compared with mobile device or a notebook which offers high quality brightness and which makes the presentations and videos where ever you want. Taking the brightness into consideration it produces 3100 lumens and a contrast ratio of 10000:1 which makes crystal clear presentations. It has got a resolution of WXGA (1280*800). WXGA resolution gives 30% more pixels than XGA. The above feature eliminates the concern about room light. Optoma provides high quality colour reproduction also. Another important aspect of the portable device is its connectivity. HDMI connectivity, Full 3D technology is available using the inherent speed of DLP technology and optional wireless capabilities allowing you to project wirelessly from a laptop or mobile device. It will take only 10 seconds from pressing the shut down button to pack up your device. It offers a user friendly remote control where left and right click mouse buttons involved so that you can control your presentations with ease. In addition to this in built laser points are there with the help of a USB cable. It is environmentally friendly with a lamp life up to 5000 hours. This includes Eco mode, for reduced power consumption during operation, a sleep timer which when activated will automatically switch off the projector when it is no longer in use. It has got 1 speaker and zoom type of 1.15x manual. The aspect ratio is 16:10 native and 16:9/4:3 compatible and the projection distance is 1.2 to 10 meters. While taking the power part the lamp light is 220W and the power supply is 100 to 240V. Company offers two years warranty and all the above features makes it worth buying. One of the perfect partner for any executives due to its friendly features. It is very powerful to use in most of the demanding environments due to its high brightness and energy saving features. It delivers 1000 lumens and a contrast ratio of 15000:1 which helps to produce vibrant colors. The resolution is WXGA 1280*800 and a zoom type of 1.7x. It supports a project distance to 0.52 to 3m and a maximum resolution of UXGA (1600*1200). The aspect ratio is 16:9. The ML1000P provides full comprehensive connectivity. It also includes an SD card port that allows you to deliver PowerPoint presentations, view PDF documents, display pictures, movies and more without the need of a computer or external device. An innovative touch pad design allows you to easily control the projector and enhance ease of use. The connector includes HDMI, VGA –in, audio in and audio out, USB port etc. It is easily portable with a light weight of 1.36. It has a LED lamp and lamp life hors of 20000. While taking the audio content it procures two 3 watt speakers which helps to avoid additional speakers in a comparatively small room. 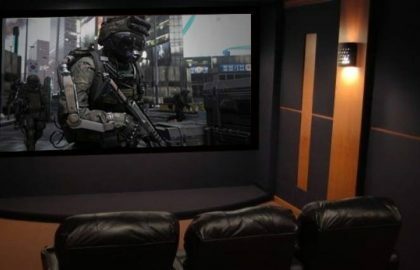 The noice level is 30 decibel. Looking towards the power part the maximum power consumption is 145W and power supply of 100 – 240V in ac input. It offers IR remote control for smooth operation. In addition to the above features company is offering 1 year warranty for limited parts and labour and the accessories includes HDMI cable, component to VGA cable, composite video cable, Optoma screens and DLP Link 3D glasses. BenQ MX528P DLP Projector which suits your travel plans and conference meeting for presenting your ideas in a better manner. It has got high quality brightness with 3300 ANSI lumens with a contrast ratio of 18000:1.This enhances the clarity of the images and letters. The resolution of the projector is XGA 1024*768 pixels and the device supports 1.07 billion colours for display. The zoom ratio of the projector is 1.1:1 and throw ratio is 1.96 to 2.15 m.
In the design and Dimension part the weight of the projector is 1.9kg and dimension of 283 x 95 x 222(W x H x D)(mm). The lamp life is 4500 hours in normal mode and 6000 hours in economic mode. The native aspect ratio is 4:3 and the light source is 196W. The zoom ratio is 1.1X and a horizontal frequency of 15K to 102 KHz. In the audio part it has a 2W *1 Speaker. Thwe power supply is AC 100 to 240 V and the power consumption is 270W. For connectivity it has 2 D-sub 15 pin for computer in and monitor in; 2 mini jacks for audio in and audio out; 2W speaker for audio, mini B type USB for external connectivity, RS232 DB 9 pin and one front IR receiver. The company offers 2 years of warranty and accessories includes Remote Control, Power code, User Manual CD, carton Hand Carry type and VGA cable and optional accessories includes Universal Ceiling Mount and 3D glasses.